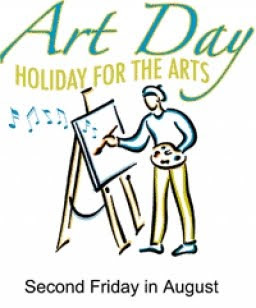 Did you know that August 14, 2009 is declared an International Holiday for Artists? Art Day is founded by Becky Mate, a member of Artists for a Better World International, which I'm also a member of. It falls annually on the second Friday of August. Art Day is a perfect time to celebrate creativity in all facets and infect joy in others. Do you want to join this event and be counted? You can also register in this International Artists Directory.